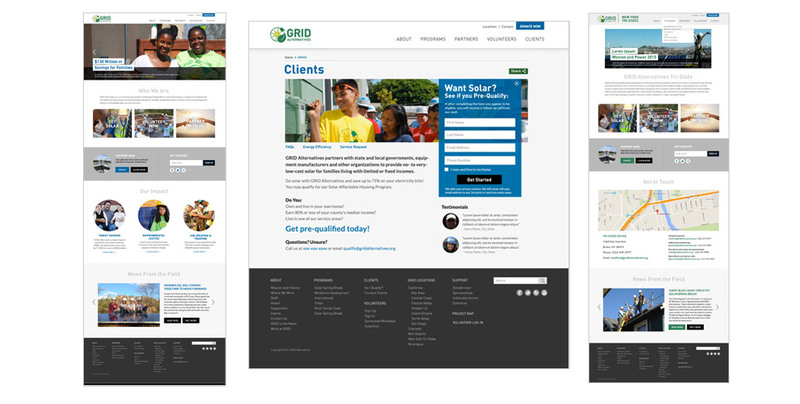 GRID Alternatives' vision is a successful transition to clean, renewable energy that includes everyone. GRID's success empowering their clients and installing solar energy on affordable housing around the United States has transformed the way that we understand the future of energy. 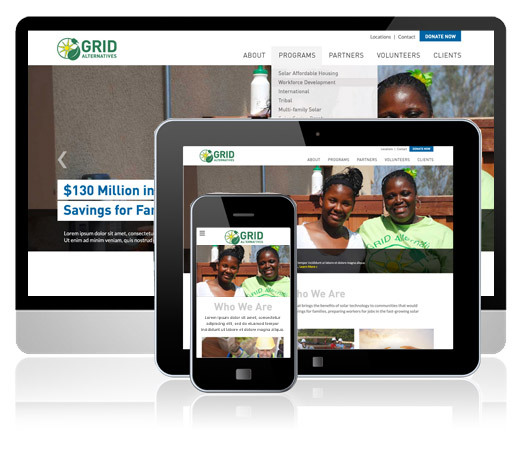 GRID's rapid expansion across the US, and then internationally, required a web presence that empowered their affiliates offices to control the content that is specific to their programs. Rootid delivered a website with tiered levels of access that allowed users across the US to manage their portion of the website and generate marketing buzz around their local programs. Additionally, Rootid worked with SalesForce consultants, CumulusVision, to seemlessly integrate SalesForce lead generation capabilities to streamline customer acquisition and external marketing efforts.